Maybe in Another Life - . There's something about Taylor Jenkins Reid's writing that is so brilliant and REAL that I'm left questioning life after finishing one of her books. She became one of my favorite authors after I read [b:After I Do|18775359|After I Do|Taylor Jenkins Reid|https://d.gr-assets.com/books/1412544649s/18775359.jpg|26680492], which was such a fantastic novel that has stayed with me months later. 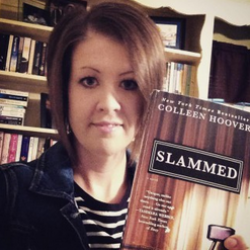 I couldn't wait to read her newest release, and it was fantastic. In Maybe in Another Life, we meet Hannah, a 29 year old who has no clue what she wants out of life, and decides to move back to her hometown of LA. She moves in with her best friend, and one night they decide to go out to the bar where Hannah meets up with her ex boyfriend. On this night, Hannah is faced with a decision - go home with her best friend or go home with the ex. Many people would admit they've wondered how their lives would have played out had they made difference choices along the way. 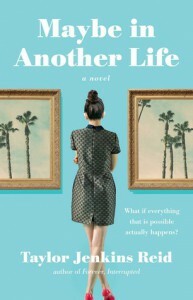 The author offers both perspectives in alternating chapters, showing us how Hannah's life would have gone if she had picked one scenario over the other. And by the end of the book, I was on edge praying that Hannah chose the scenario that I loved most. Such a unique and brilliant story line - it almost felt like I was reading a Choose Your Own Adventure book. I didn't want to put the book down because I had to know how things really worked out for Hannah - which decision did she ultimately choose, and was it the one I was hoping for. TJR's characters are flawed and real and I always connect to them immediately when reading her books. I loved every minute of reading this one and look forward to more by this author!